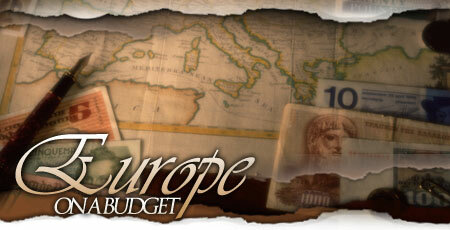 Thinking about postponing that trip to Europe? The exchange rate keeps getting worse, and fuel surcharges increase the cost of flying. There’s no guarantee that the dollar will strengthen against the Euro or that air fares will come down anytime soon. Still, go ahead and go. There are plenty of ways to reduce the strain on your wallet and still have a wonderful trip. 1. Planning When to Go: If you don’t have to vacation during the summer, don’t. Air fares can cost hundreds less off season. Seasonal pricing holds true for lodging, too, and off-peak travel means shorter lines at museums and other attractions. 2. Getting There: Compare fares of major airlines with charter flights and consolidators. Save money by flying into a hub like London and transfer to a no-frills airline to reach your destination. 3. Arriving: Taking a taxi from the airport may not have seemed a luxury two years ago, but it certainly may be now. If traveling alone, public transportation is likely to be your cheapest option. Searching ahead will help you determine the economics of train versus taxi if you’re traveling with others. 4. Being There: Pick a place and stay a while. To greatly reduce your cost-per-night, stay in an apartment instead of a hotel. The web is awash with vacation rental agents. But beware falling in love with an apartment you find on a website and getting stuck with an unresponsive agent. Do your agency homework first, then choose the lodging. Will the agent be available to you (in English) if you have questions or need help? 5. Going Local: Be sure your rental agent explains things like how to use the coffee maker and where the nearest markets are. Going out for breakfast can add up fast when you’re paying half-again as much as its worth! A kitchen let’s you save on food by not eating every meal out. It’s fun planning dinner when many of the available ingredients are so different from what you’re used to. Just remember that 1 kilo is equal to 2.2 pounds! 6. Staying Awhile: One of the nicest things about an extended stay is a slower pace. Take naps ‘til your jet-lag wears off. Get up early to photograph the sun rising over an ancient landmark. Dally over a long lunch. In between all this leisure, visit the sights. 7. Seeing the Sights: Look for economical multi-day or multi-site tourist passes. Forget group tours, sightseeing buses, or expensive private guides. Instead, take a detailed map and load up your iPod with any number of walking tours, site guides, and podcasts. You’ll find touring at your own pace and customizing sightseeing to your own interests is a great way to go! 8. Getting Around: In some cities the cost of public transportation is off the charts. Walking is the best way to get to know a place, but if you prefer public transport, look for off-peak fares, multi-day tickets, zone passes and other money-saving deals. 9. Moving On: If you do intend to visit more than one destination, look into your travel options in advance. Car rentals are much less expensive when reserved from home, and purchasing inter-city rail passes in advance can also save you money. Truly intrepid rail pass travelers avoid hotel bills by riding overnight trains! 10. Making Memories: Instead of buying souvenirs, take pictures. With a digital camera, 1000 shots costs no more than one shot. Just be sure to bring extra batteries and memory cards from home. Even without the unfavorable exchange rates these items can be very expensive in Europe. Jane McIntosh, creator of Jane’s Smart Art Guides™, audio guides for independent travelers who like to know what they’re looking at. For more information, visit Jane's Smart Art Guides.